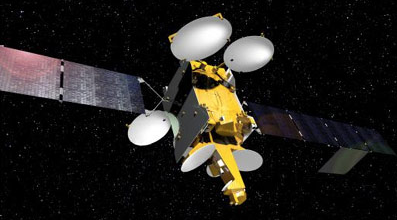 [Satnews] Telstar 12 VANTAGE, built by Airbus Defence and Space for Telesat, a leading global satellite operator, is scheduled for launch on November 24 on an H-IIA launch vehicle from Japan. The launch is scheduled for 14 days after the successful launch of ARABSAT-6B (BADR-7) from Kourou, French Guiana on an Ariane 5 launcher, and a few weeks before the launch of Express AMU1 from Baikonur. On December 2, the European Space Agency’s LISA Pathfinder spacecraft, also built by Airbus Defence and Space, is due to launch from Kourou. Based on Airbus Defence and Space’s highly-reliable Eurostar E3000 platform, Telstar 12 VANTAGE is fitted with more than 50 high power amplifiers that will operate in Ku- and Ka-bands over four regional beams and eight spot beams. With a design life of more than 15 years, Telesat's newest satellite will have a launch mass of 4,800kg and a spacecraft power of 11 kW. The spacecraft will operate at 15 degrees West in geostationary orbit and serve the growing needs of broadcast, corporate, and government users with powerful coverage of the Americas and EMEA regions as well as maritime zones in Europe, the Caribbean and South Atlantic.